System services are the services TenneT provides to guarantee the flow of electricity, resolve large-scale disruptions and maintain the balance between electricity supply and demand. 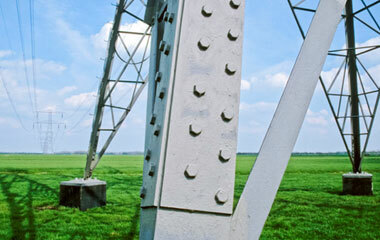 The number of electricity producers connected to the Dutch grid has grown significantly since 2006. The boom was initiated by the Dutch greenhouse industry, which deployed over 2,000 MW in new small-scale combined heat and power (CPH) plants in the period to 2010 . Several large power plants were also constructed in recent years, increasing the installed production capacity by more than 10,000 MW in 2014 (a rise of over 40%). This is more than enough to meet Dutch domestic demand and exports until far beyond 2020. It is therefore unlikely conventional production capacity will be expanded any more in the next five to 10 years. To be able to transmit all the electricity generated by these new power plants, TenneT is carrying out a large-scale expansion programme. 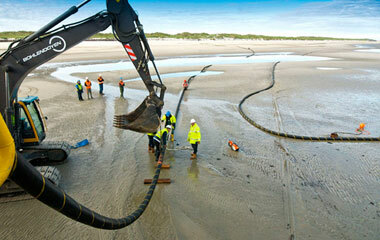 This mainly involves constructing new 380 kV connections in the Randstad area (Amsterdam, Rotterdam, Utrecht and The Hague) and in the north and southwest of the country. To enable the transition to renewable energy, in line with Dutch government sustainability targets, TenneT has started preparations to build an offshore high voltage grid (3.500 MW) along the Dutch coast, facilitating the connection between offshore wind farms to the onshore high voltage grid. This is likely to be finished by 2023. 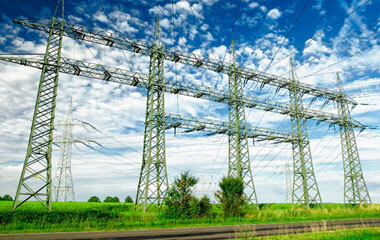 You can read all about connecting to the Dutch High voltage grid here. For German customers only. Please address all questions on this topic here.